The Pacific Northwest has so much to offer in terms of art and culture. This is especially true when it comes to the Quilt and Fiber Arts Museum in La Conner Washington. Those in attendance can expect a fun filled celebration including a gala dinner and an exciting art auction. All the excitement takes place between Friday, October 6th and Sunday, October 8th, 2017. Plan to arrive between 10 AM and 5 PM to enjoy this unique annual festival right here in beautiful La Conner Washington. Most notable of all is the gala dinner and art auction that takes place on Saturday, October 7th at 6 PM. Many of the items up for auction including quilts and fiber art pieces have been donated by a number of prior exhibitors. Packed with interesting and intriguing activities including a guided exhibit tour, online auction, dinner, art auction, curated exhibits and even workshops and classes, this is one Pacific Northwest art experience that should not be missed. Those interested in participating in classes can register online by visiting the website here . These innovative art classes vary widely and include everything from traditional beginner Sashiko to wool appliqué and freeform piercing as well as photography techniques intended specifically for quilters. In addition, those interested in learning how to work with embellishments will be pleasantly surprised. Even classes on custom wearable clothing and Nuno felting as well as instruction on working with paper and silk are available. This is the perfect opportunity for novices and experts alike to take quilt and fiber arts to an entirely new level. 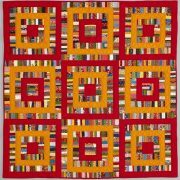 The Pacific Northwest Quilt and Fiber Arts Museum features many beautiful exhibits including a number of permanent collections in addition to rotating art displays intended to inspire and captivate. Whether you choose to visit this exciting 20th anniversary celebration to simply relax and stroll or learn new art techniques, its all here. Anything is possible when it comes to all that the Pacific Northwest has to offer art lovers from across the state and from around the world. 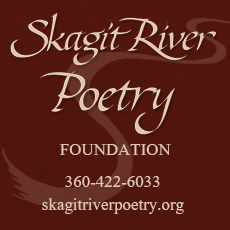 Talk with like-minded artists and delve into many of the fun and interesting workshops as a way to experience a truly beautiful time of the year in delightful Washington State.